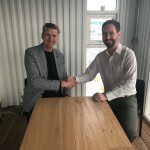 Þrátt fyrir að um árabil hafi sjávarútvegur þróast frá því að vera fyrst og fremst veiðar og vinnsla í það að vera grein sem samanstendur af ýmsum atvinnugreinum, veiðum, vinnslu, tækni, flutningum, sölu o.fl., hefur verið skortur á heildstæðum upplýsingum um alla þessa atvinnustarfsemi sem hér er nefnd einu nafni „sjávarklasi“ (e. ocean cluster). Skortur á upplýsingum um þróun þessa klasa hefur hamlað umræðu um áhrif hans og möguleika. 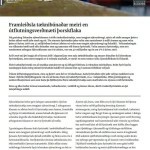 Í opinberri umræðu er oftast látið í veðri vaka að störfum í sjávarútvegi fækki en þar er þó aðeins litið til sjávarútvegs og vinnslu, mikilvægrar undirstöðu klasans, en fjarri því einu starfseminni í fjölbreyttri flóru hans. 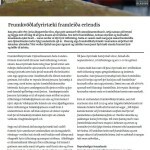 Í framhaldi er fullyrt að sjávarútvegur geti ekki orðið uppistaðan í efnahagslífi landsins á komandi árum og áratugum þar sem sífellt færri einstaklinga þurfi til veiða og vinnslu. 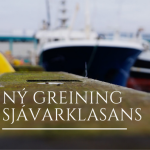 Síðustu tvö ár hefur Sjávarklasinn gengist undir talsverða gagnavinnu með það að markmiði að leggja mat á heildarframlag sjávarklasans á Íslandi til landsframleiðslu. 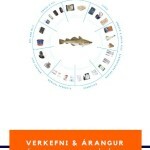 Tilgangur þess er að greina eðli og umfang sjávarklasans eins og hann er í dag, meta vaxtarmöguleika hans til framtíðar og lýsa þeim skilyrðum sem þurfa að vera fyrir hendi til þess að þeir vaxtarmöguleikar nýtist sem best. Í upphaflegri rannsókn Ragnars Árnasonar, Þórs Sigfússonar o.fl. var hlutdeild sjávarklasans í vergri landsframleiðslu áætluð 26% árið 2010. Ári síðar, 2011, var þetta hlutfall áætlað um 27,1%, en árið 2012 vaf sama hlutfall um 28%. Skýrslurnar má finna hér á vefnum undir útgáfa. Ætlunin er að endurtaka rannsókn þessa fyrir komandi ár. Með því að nota ávallt sömu aðferð til útreikninga má skapa eins konar vísitölu sjávarklasans og bera þannig saman afkomu og umsvif sjávarklasans milli ára. Þannig má greiða fyrir að vaxtatækifæri í klasanum séu nýtt til fullnustu. 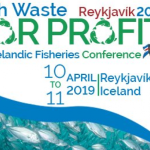 Despite Icelandic fisheries having evolved from traditional fishing and fish processing into a business sector consisting of a variety of fields such as technology, logistics, marketing and more, there has been a lack of an overall picture of these activities, hereby called “ocean cluster”. This shortage of information about this cluster has hampered discussions on its impacts and abilities. The public debate most often implies that the number of jobs created by fisheries are declining. However this debate only focuses at fisheries and fish processing, important foundations of the cluster, but far from its only activities. At the same time, it is assumed that fisheries will become less important for the economy in the years to come, as increasingly less manpower is needed for fishing and fish processing. 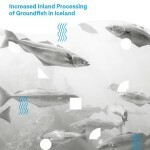 For the last two years (using data from 2010 and 2011) the Iceland Ocean Cluster has carried out extensive research with the aim of evaluating the total contribution of the ocean cluster in Iceland to GDP. 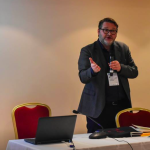 In their paper, “The Importance of the Ocean Cluster for the Icelandic Economy” , Ragnar Arnason and Thor Sigfusson attempted to analyze the nature and scope of the ocean cluster in 2010, evaluate its future growth potentials and describe the conditions needed in order for the cluster to grow. The aim of this project is to continue that work and get a picture of the ocean cluster’s development over time. By continuing this research it is possible to compare performance between years and further examine the cluster’s growth potentials and the conditions that must be in place to utilize these potentials. In doing so, the contribution of the ocean cluster to the economy can further be increased. In 2010 the total share of the Icelandic ocean cluster in GDP was estimated 26%. In 2011 this contribution was estimated 27.1%. The two reports describing the scope and performance of the cluster in 2010 and 2011 can be found here. For more info on the project, contact Haukur M. Gestsson (haukur[at]sjavarklasinn.is).